Plugins: Unite Gallery Plugin was used for creating multiple galleries. All the sections were built with Divi modules – Contact Form, Blurbs, Text. 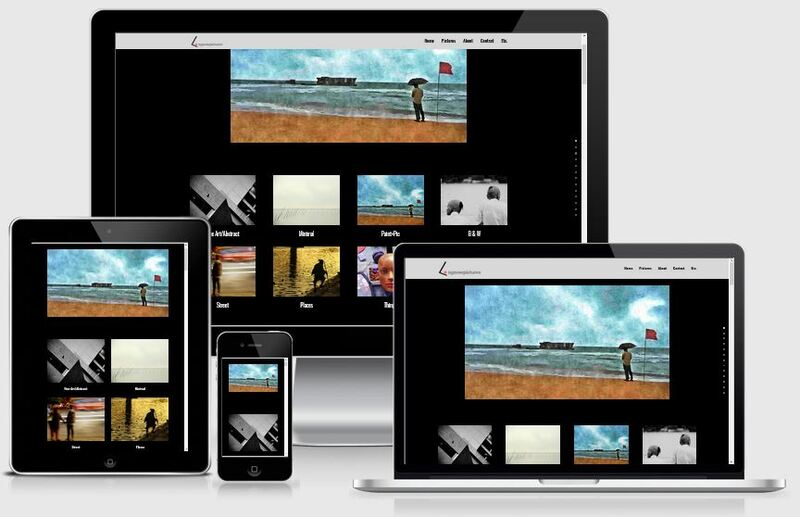 This is a responsive single page website for a Photographer based in Mumbai City, India. The goals were to have a minimalist single page website with multiple galleries, About and contact sections. The website is done using DIVI theme from Elegant themes. Two colors were used throughout the website to keep the consistency and mood to be a minimalist website. The colors chosen were mostly black and white and a shade of grey. . I would love to hear about how I can help you with your business website. I have a Masters in Computer Science from Pace University New York. Having worked in the software industry for many years, I am now freelancing and have specialized in using the DIVI theme from Elegant Themes, since the past four years. Do have a look at my portfolio to view my other completed projects. Feel free to contact me and I will get back to you immediately.